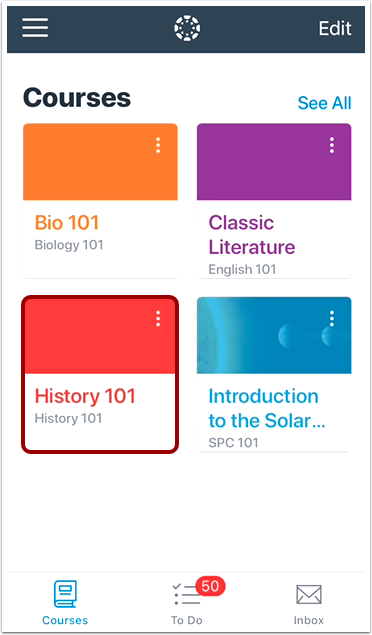 In the Canvas Teacher app, you can view and manage your course files. 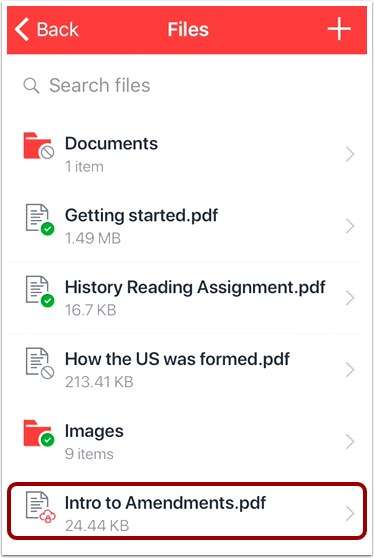 You can also add new files and folders in the Teacher app. When editing a file, you can manage published status, set usage rights, and restrict access to students. This lesson shows the steps to edit and restrict access for individual files. The steps to manage published status, usage rights, and access for folders are the same. Files will display all your course files and file folders. Published files and folders display a Checkmark icon . Unpublished files and folders display a Unpublished icon . Files and folders with restricted access display a Cloud icon . 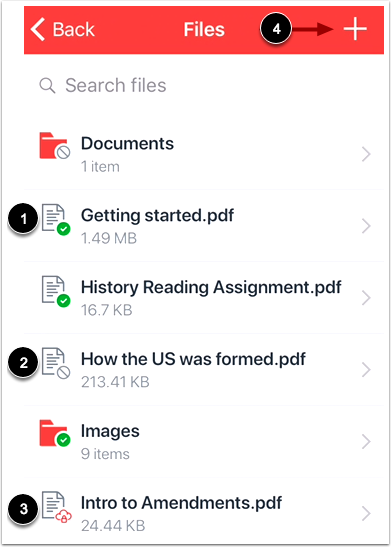 To add a new file or folder to your course files, tap the Add icon . To open a file, tap the name of the file. To edit your file, tap the Edit link . To return to your files, tap the Back link . 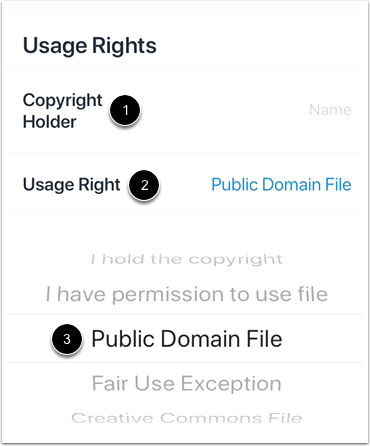 To edit the title of the file, tap the Title field  and enter the new file title. To edit the access settings for a file, tap the Access menu . Your file access settings can be set to published, unpublished, or restricted access. To delete the file, tap the Delete File link . 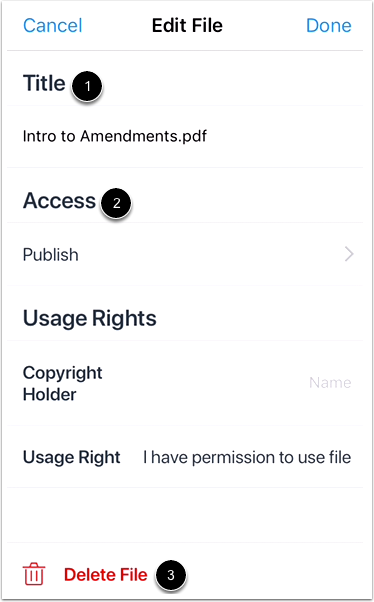 If usage rights are enabled in your course, you can also enter the name of the copyright holder in the Copyright Holder field . You must also set a usage right for each file you upload to your course. To set a usage right, tap the Usage Rights menu  then select the usage right option . Usage right options are: I hold the copyright, I have permission to use file, Public Domain File, Fair Use Exception, and Creative Commons File. If you select Restricted Access in the Access menu, you can select how to provide access to the file. 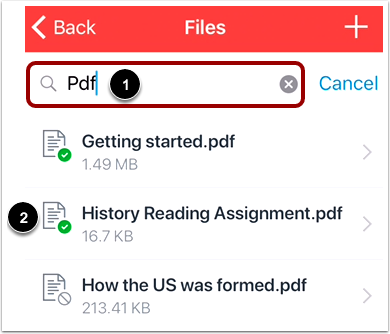 The Only available to students with link option  makes the file available to students who are given a link to the file. 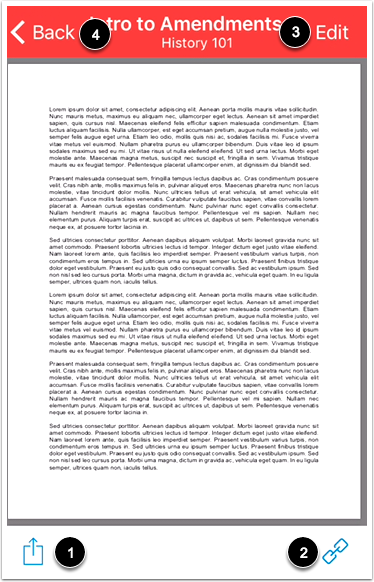 The file will be hidden to students in Course Files. 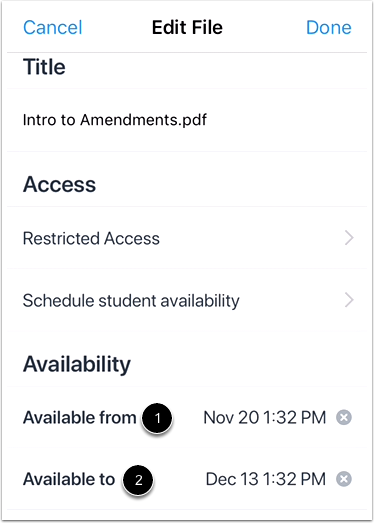 The Schedule student availability option  gives students a window of time to view the file. If you select this option, the file can be viewed by students in Course Files as well as anywhere in Canvas (such as when the file is added to Modules or Assignments), but the file will be locked and they cannot view the actual file until the specified date. Note: The Only available to students with link option only applies to Course Files; if you add this file to another area of Canvas, such as Assignments or Modules, all students can view the file. If you select the Schedule student availability option, you must select availability dates for the file. To set student availability dates, enter the starting date for the file to be available in the Available from field . If applicable, enter the date when students can no longer view the file in the Available to field . Note: The time in the Availability fields will default to the current time and cannot be changed. 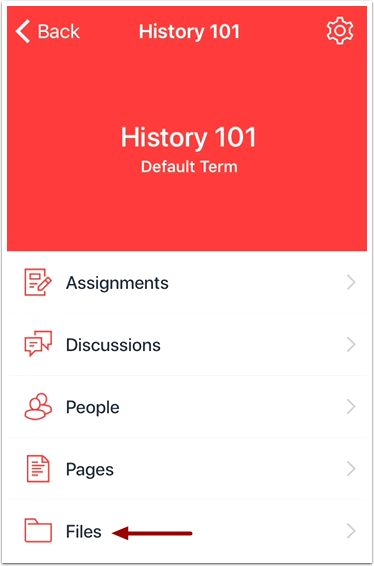 Previous Topic:How do I add a discussion in the Teacher app on my iOS device? Next Topic:How do I add a new file or folder to a course in the Teacher app on my iOS device? Table of Contents > Courses > How do I view Course Files in the Teacher app on my iOS device?